If you got socked with abnormally high electric bills over the summer, or during this unseasonably warm fall season (three days with 90-degree highs in September! ), your air conditioner may not deserve all of the blame. Take a close look at your bill. Specifically, the top corner of page two, inside the rectangular box under “Your Electricity Charges.” If it says “estimated reading,” you may be shocked at exactly how much you’ve just been overcharged. That's what happened to one Thrillist colleague recently, who noticed his bill was incredibly high and saw the "estimated reading" label. After checking the meter in his building's basement, he discovered the power usage was 350 kilowatt hours lower than indicated on his monthly statement. After calling Con Edison to complain about the discrepancy, the power company adjusted his bill accordingly, saving him nearly $60. These screw-ups happen when ConEd charges you based on an estimate of your power consumption -- not an actual meter reading. Estimated bills are not uncommon, according to ConEd spokesman Allan Drury. They can happen for a number of reasons, typically when the power company can’t gain access to your building to check out the actual meter -- or, like in 2012, when utility workers went on strike and no one was around to do a real reading. According to Drury, these estimates are based mainly on your prior usage, which obviously can vary based on any number of factors, like changing seasons. If it seems unfair to charge customers based on little more than an educated guess, well, ConEd agrees. Sort of. 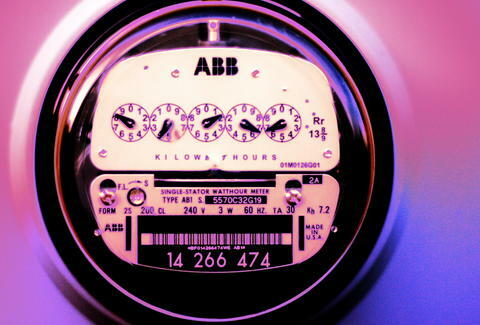 On its website, the utility company offers some guidance on how to avoid estimated bills -- it even allows you to submit your own meter readings over the phone or online so you don’t get overcharged. Too confusing? You can also take a photo of your meter and email it to ConEd. The next trick: You have to do this on your scheduled meter reading date. That information is printed on your last bill. In the future, ConEd says it should be able to do its own job of reading the meters much better, thanks to new technology. The company soon plans to roll out a system of modernized “smart meters,” which should eliminate the need for indoor meter readings altogether and hopefully put an end to estimated bills once and for all. According to the company, customers should begin receiving the smart meters in 2017, but the full rollout won’t be completed until 2022. In other words, most folks will be stuck sorting out the real bills from the estimates for many years to come. For now, Drury says that when customers get overcharged based on an inaccurate estimate, the goof is usually corrected the next time that the company is able to do an actual meter reading. When that happens, you’ll notice some price adjustments on your next statement. But the only way to really make sure is to keep a sharp eye on your bill every month. And your meter. If you notice something askew with your electric bill, call ConEd at 1-800-75CONED. If the utility fails to resolve the matter, you should contact the New York Public Service Commission at 1-800-342-3377.